Most veterans returned home from Vietnam after television coverage began to focus on the dissent at home. Three million veterans served in Vietnam, yet only 200,000 had been discharged by 1967; the majority of all veterans served after 1968 (Bonior, Champlin, Kolly 1984, p.16). According to a Louis Harris poll conducted in 1979, nearly 60 percent of all Vietnam veterans felt that television was not positive. Additionally, more than two-thirds felt that the coverage of My Lai influenced the public's view of the typical Vietnam veteran (Bonior, Champlin, Kolly 1984, p.16). I interviewed four veterans (asking the same questions to each veteran) in order to understand how they feel the coverage truly reflected what they actually saw in Vietnam. Moreover, I asked them a series of questions regarding how they feel the coverage contributed to the Vietnam veteran's image. "People confused patriotism and loyalty to the nation with patriotism and loyalty to the government. In other words, many persons who considered themselves patriots and loyal U.S citizens were not comfortable disagreeing with the government or the president, and much disconcerted by images on TV of others openly and sometimes violently against the war policy." Though public opinion was mixed, Veteran C interpreted the television coverage to be polarized by the time he left for Vietnam. While there was a lot of coverage devoted to the anti-war demonstrators, he also feels that there was a lot of coverage that simply regurgitated the government's press releases. Mr. Alex Horster, the fourth veteran I interviewed, left for Vietnam in 1970 at twenty-five years old. He volunteered for Vietnam, where he served for six months as a Marines Corps helicopter pilot. Like both Mr. Leonard and my father, he felt that the U.S was right to become involved in the war. Before his departure, Mr. Horster understood public opinion to be very "anti-war." Because he was attending college and working full-time, he did not pay much attention to television coverage of the war. What he did see, however, he believed to echo public sentiment. Vietnam veterans are the most qualified people to assess television's portrayal of the war because they are the only group of people to directly experience the atrocities of war. Though reporters were sometimes present in the field, they could not experience the frustration, grief, fear, and confusion of a U.S soldier. John Laurence, a CBS reporter who covered the Vietnam War from 1965 to 1970, admits that the truth rarely got reported: "We decided where to go, what to observe, what to film, what not to film, what questions to ask, and how to describe what we saw and were told" (Laurence, 2001). After interviewing the veterans about pre-war coverage, I asked them to compare what they saw in battle to what television portrayed. All four veterans agree that they witnessed a lot of events that occurred during the war that should have been covered by television news but were not. Primarily, they referred to atrocities committed by the North Vietnamese (NVA) and Viet Cong (VC) armies, which outnumbered U.S committed atrocities by "one thousand to one" (Mr. Leonard). Both my father and Mr. Leonard made it a point to inform me that the NVA and Viet Cong committed atrocities as policy, yet the media failed to report on the enemy's policies. My father pointed out that, "The North Vietnamese thought nothing of attaching a bomb to a little kid and sending that kid into a group of American soldiers." Mr. Leonard added that, "Their favorite ploy to gain acceptance of the villagers (by fear) was to execute the village chief and threaten the village that worse could happen." He also condemns the media for not covering the flamethrower death of the entire village of Bu Dop at the hands of the NVA. Indeed, in all of my research for this paper, I never read about any coverage of Bu Dop or the NVA's policy; yet, My Lai was mentioned in every book devoted to media coverage of the war. Mr. Leonard also noted that there were not enough positive stories about the U.S soldier. He specifically mentioned the free medcaps they did for the villagers, the orphanages they financially supported as individuals, and the rebuilding of villages that the Viet Cong destroyed. After asking the veterans what they believe did not have enough coverage, I asked if there were any events or subjects that they feel was given too much television coverage. I suspected that they would all mention My Lai and human casualties, yet I did not receive the unanimous answer that I suspected. Veteran C felt that "My Lai was covered appropriately for what it was." He was more disturbed by the media's focus on body counts, which he believes to be part of the limited coverage that the government and the military would permit. Mr. Leonard and my father have a somewhat different opinion of My Lai's coverage than does Veteran C. They both said that My Lai's coverage was too extensive because television news did not cover the fact that the NVA and VC everyday committed worse acts as a matter of policy. My father attributes the massacre at My Lai to inadequate leaders, yet it was by far typical of the U.S troops. He said that, "Though what happened at My Lai was wrong, it wasn't policy." They both agree with Veteran C that extensive coverage of mistaken deaths of civilians and American body bags demeaned the war and the U.S soldiers even more. Mr. Horster answered the question differently than the other three veterans. Instead of placing the blame for television's extensive coverage of My Lai and casualties solely on the media, he claims that the media only covers what makes a profit: "The media tends to cover what they think they will sell, so while I have no use for the bulk of them (media types), I do not feel they ought to get all the blame." All four veterans agree that television coverage was negative, yet they each provided somewhat different answers for why they believe it was negative and how it affected the outcome of the war. My father feels that television coverage of the war was extremely negative, but he places some of the blame for this on the government. "The Tet Offensive was the major turning point in the war, even though it was a total victory for the U.S," he said. "After Walter Cronkite made his statement against the war, all of the other journalists followed his lead. So did the American public." Because the government and the military lied to the media about the progress of the war, he suggests that the media wanted to expose the war in a negative light. Thus, as part of an anti-war agenda, news producers and journalists purposely selected stories that depicted the war as uncontrollable and the U.S soldier as a crazed baby-killer. According to my father, television's slanted view of the war, the anti-war movement, and the chaos of the Civil Rights Movement caused Americans to grow tired of violence and war. All of these factors combined to turn the American public against the Vietnam War. Veteran C also blamed the government for negative coverage, but he does not feel that it was as negative as my father feels it was. Whereas my father said that anchors and reporters "absolutely" revealed their anti-war biases, Veteran C answered that they did only "sometimes." Moreover, he does not believe that television set an anti-war agenda. Instead of deliberate negativity, he suggests that coverage was "fragmented, inaccurate, and incapable of providing a coherent story line" because the media was often reduced to reiterating military press releases. Because the government did not trust its citizens to understand its goals in the war, these press releases did not reflect the actual lack of progress. Veteran C, therefore, does not believe that the media cost the U.S the Vietnam War; rather, he blames the lies and deceptions of the government. Therefore, both Mr. Horster and Mr. Leonard feel that the profit motive led its reporters and producers to air anti-war coverage that reinforced the draft dodgers' sentiments of the war. While Mr. Leonard says that the media "without a doubt" cost the U.S the war, Mr. Horster feels that the media should not get all the 'credit' for losing the war. Overall, he believes that lack of resolve lost the war. The homecoming stories of Vietnam veterans reveal how bitterly divided the country was. Three out of the four veterans I interviewed were belittled by people who referred to them as "baby-killers" or "crazy Vietnam vets." 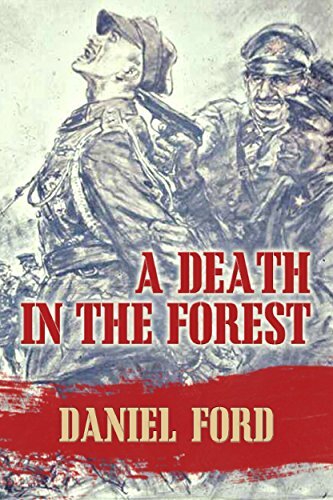 It was their experience that even family and friends did not want to talk about the war with them; those who did bring the war up often did so in an extremely negative fashion as a result of their own guilt or anger. The only veteran who was not accosted was Mr. Horster, who stayed in the Marine Corps and did not interact with the civilian sector often. According to all four veterans, the Vietnam veteran was stereotyped during and after the war. When I asked them what some of these stereotypes are, I received answers such as "baby-killer" (all four), "crazed nut" (my father), and "drug-taking, worthless, spineless, garbage" (Veteran C). My father gets particularly disturbed when reporters make it a point to mention that a suspect involved in a shooting or other criminal act is a Vietnam veteran. I then asked them if they are disturbed by any movies, television shows, or books that they feel portray the veteran in this stereotype: two veterans identified Deer Hunter and Apocalypse Now as being complete farce. When asked whether they feel that the Vietnam veteran's image has improved throughout the years, two out of four believe that it has. Mr. Leonard says that the image is excellent today, but only because the veterans themselves took care of each other (i.e. building the Wall). Veteran C understands the image to be mixed, but more positive than it used to be. Mr. Horster says that he does not buy the "let's let bygones be bygones" routine that exists today. My father feels very strongly that the image has not changed. He mentioned a newspaper article, written less than five years ago during the week of Veteran's Day, that upset him because it "made heroes out of the protestors and belittled the veterans." Do Vietnam veterans blame television for their image? Do they resent the television and the media because of it? Veteran C differs from the other three veterans in that he is the only one who does not blame television for creating the Vietnam veteran's image, nor does he resent television for its coverage of the war. My father and Mr. Leonard feel very strongly that television news played a large role in stereotyping the Vietnam veteran. While U.S soldiers were portrayed as villains, the NVA and VC were often portrayed as victims. My father can never forget the image he saw on television of Jane Fonda sitting on an NVA anti-aircraft gunner that was used to shoot at American planes, and he can never forgive her for referring to U.S soldiers as murderers. He resents the media because it "sensationalized rather than reported" the true war. Mr. Leonard resents the media because, "they told lies and untruths or nothing positive at all." While Mr. Horster does not blame the television media 100 percent, he suggests that it "needs to be aware of the responsibility that it brings, rather than how it will affect their ratings." He also resents television for stereotyping Vietnam veterans. Thus, three out of the four veterans I interviewed blame and resent the media for its coverage of their images and the war itself. As television news became more and more popular throughout the turbulent years of the Vietnam War era, Americans increasingly relied on visuals to inform them of the situation in Vietnam. Television coverage brought images of the war home to the American public, yet these images were rarely a true reflection of the war itself. War is a complex, bloody, and brutal event that cannot accurately be condensed into thirty minutes of evening news. It is clear that after the Tet Offensive, the news media deemed the war to be a complete failure. After interviewing four veterans, whose experiences make them better qualified to interpret the coverage than any media scholar or journalist, I found that all four believe the coverage was quite negative. Specifically, body counts and the lack of attention to NVA and VC committed atrocities vilified the war and the U.S soldier. Before I started interviewing, I hypothesized that a majority of the veterans would at least partially blame television coverage for the rise in the anti-war movement. Moreover, I hypothesized that the same number would blame the coverage for the Vietnam veteran's image. Three out of the four veterans I interviewed feel that television coverage contributed to the American lack of resolve, which ultimately cost the U.S the war. Though they vary in their interpretations of the reason behind the negativity, three out of four agree that the negativity contributed to the crazy, baby-killer stereotype of the Vietnam veteran. In conclusion, I would like to thank my father, Mr. Ron Leonard, Mr. Alex Horster, and Veteran C for all of their time and generosity in helping me complete this paper. They were willing to revisit disturbing memories of the war in order to help a college student whom most of them did not even know. Bonier, David E. Steven M. Champlain and Timothy S. Kolly, The Vietnam Veteran: A History of Neglect. New York: Praeger Publishers, 1984. Hallin, Daniel C., The Uncensored War: The Media and Vietnam. Los Angles: California University of California Press, 1986. Hammond, William M., Reporting Vietnam: Media and Military at War. Lawrence: Kansas University Press of Kansas, 1998. Laurence, John. History Today, "A Failed Truth - A Reporter's View of Vietnam". Gale Group, Oct 2001 v51 i10 p8. Neuman, W. Russel, Marion R. Just and Ann N. Crigler, Common Knowledge: News and the Construction of Political Meaning. Chicago: University of Chicago Press, 1992. Wyatt, Clarence R., Paper Soldiers: The American Press and the Vietnam War. Chicago: University of Chicago Press, 1995. Incident at Muc Wa: The Vietnam novel that inspired the acclaimed Burt Lancaster movie, Go Tell the Spartans. Get the paperback or the Kindle edition. 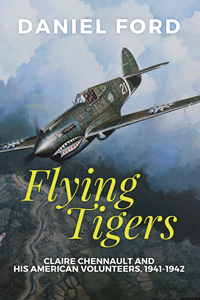 Remains: a story of the Flying Tigers: "A cracking good yarn" (Air&Space magazine) Get the paperback at or the Kindle edition. The Only War We've Got: A reporter's journal: the Vietnam War before it all went sour. Get the paperback at or the Kindle edition. The Katyn Findings 1952 - The U.S. Congess investigates the murder of 22,000 Polish officers and civilian leaders on Stalin's order. For the Amazon Kindle. A Vision So Noble: How would John Boyd have dealt with Osama bin Laden? Get the paperback or Kindle edition. Michael's War: Two rebels in the County Cork, 1916-1923 (fiction) Get the paperback or the Kindle edition. Glen Edwards: The Diary of a Bomber Pilot - Fifty missions over North Africa--and a fiery death in the desert. Paperback or Kindle edition. The Country Northward: a hiker's journal, along the trail in the White Mountains of New Hampshire. Paperback or Kindle edition. 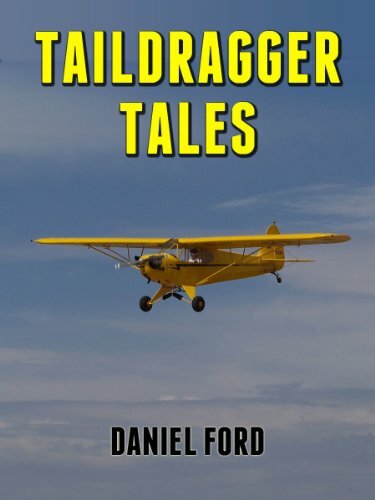 Taildragger Tales: My late-blooming romance with a Piper Cub and her younger sisters. An ebook for the Amazon Kindle. 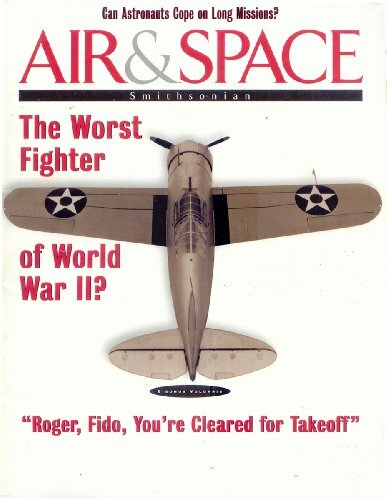 The Last Raid: How World War II ended, August 1945 - a 'thousand-plane raid' was the last act in a war that began eight years earlier. For the Amazon Kindle.